A GT3-spec racecar version of Cadillac’s ATS-V Coupe was spotted in a shipping yard back in September and surprisingly, it looked well on its way to being complete. All it needed was some ‘V’ Cadillac graphics and a driver number to be ready for Pirellli World Challenge competition. 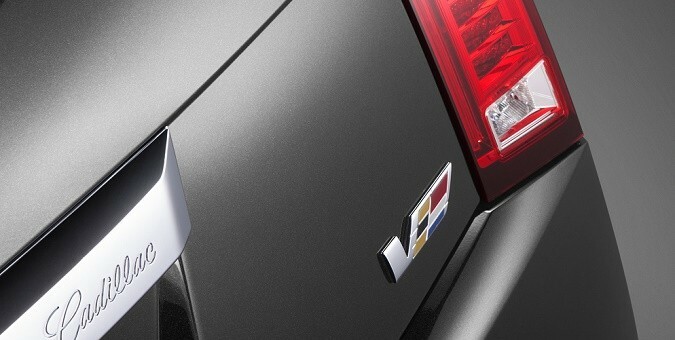 There’s a reason Cadillac’s new racer, to be called ATS-V.R, was so far along in its development. Much like Chevrolet did with the 2015 Corvette C7.R and the 2015 Corvette Z06, Cadillac will be unveiling its ATS-V.R alongside the production ATS-V Coupe and Sedan at the Los Angeles Auto Show next week. Unsurprisingly, Cadillac’s ATS-V.R looks like a shrunken CTS-V.R, with similar aerodynamic elements and wheels. The engine will downsize from a 6.2-liter V8 to a version of the 3.6-liter twin turbocharged LF3 V6 found in the road car. Performance details are still scarce, however it will have to follow GT3 homologation regulations, which allow the car to weigh between 2645 lbs and 2866 lbs with an output of 500 to 600 horsepower. Cadillac has won the Pirelli World Challenge GT championship for the past three consecutive years in the CTS-V.R. This year, the car began to struggle to keep up with the aerodynamically superior GT3-spec cars such as the Lamborghini Gallardo GT3 FL2 and Ferrari 458 GT3. The Pratt and Miller-built ATS-V.R will ensure Team Cadillac remains competitive in the race series, and may even signal an expansion outside the PWC.